If you’re heading towards graduate business school, you’ll need to prepare for the GMAT exam to ensure you earn a high score that will boost your application. The Graduate Management Admission Test (GMAT) is a standardized examination that is often a rite of passage for anyone looking to earn an MBA or another graduate business degree. 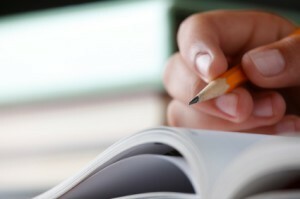 In its latest computer-based format, the GMAT consists of four different sections for Analytical Writing, Verbal, Quantitative, and Integrated Reasoning for a total of three and a half hours of testing. On average, the 250,000 students who take the GMAT exam each year spend at least 51 hours preparing for test day. Since this isn’t an exam to take lightly, below we’ve highlighted the top tips to prepare for and pass the GMAT exam. The GMAT isn’t a test you can cram for the night before. Learning how to answer the multi-faceted questions asked on the GMAT requires time, so you’ll need to plan ahead with a solid study schedule. Most prospective test takers will need between six weeks to three months to sharpen their skills and strategies for passing the GMAT. If you’ll need to brush up on your algebra and geometry knowledge, you should spend at least three months studying. You should devote a minimum of 45 minutes to an hour in a study session a few times each week. Though studying over 100 hours doesn’t guarantee that you’ll score above 700, more study time tends to boost scoring abilities. Bookstores have entire shelves lined with books for students preparing for the GMAT exam, but investing in them all will be very expensive. It’s best to choose GMAT preparation books published by trusted name brand companies, including the Princeton Review and Kaplan. If you’re low on cash, don’t worry because there’s a wealth of other study resources available for free to GMAT test takers online. For instance, the Graduate Management Admission Council (GMAC) offers free GMATPrep Software that you can download at no cost. Free study materials are also shared through other online forums, just make sure it’s GMAT-specific and legitimate. Actually grabbing a pencil and taking GMAT practice tests is by far the best way to ensure you’re well-prepared for testing day. It’s important for you to complete several practice tests to better understand the format of the exam and how the questions are typically written. Since all sections of the GMAT are timed, you should use a stopwatch to time yourself while completing the practice tests too. Points will be automatically be deducted for incomplete questions, so make sure you pace yourself and spend no more than two minutes on each question. Some cities will even offer the chance to take a self-proctored or instructor proctored GMAT practice test for free too. Studying for the GMAT exam may seem daunting at first because your score can dictate which graduate programs you’ll be accepted to. However, remember that the GMAT is simply a test designed to assess skills you’ve already learned as an undergraduate. You’ll simply need to follow the above tips to prepare for the GMAT exam and put in a healthy dose of study time for passing with flying colors.